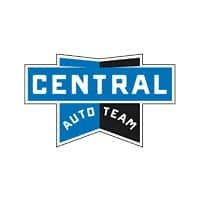 Central Collision has been servicing all makes and models in Massachusetts for over 30 years with an excellent reputation for customer satisfaction. Our experienced, manufacturer-certified technicians perform superior quality workmanship. We are on the referral lists of all of Mapfre/Commerce, Metropolitan Life and Liberty Mutual. Our licensed appraisers will work with any insurance company on your behalf. We will arrange for substitute transportation while your vehicle is in our shop being repaired, so you can go about your daily routine. We understand having an accident can be a very stressful event in your life. Let us eliminate the added anxiety of repairing your vehicle to its pre loss condition, by having you drop and go and leave the rest to us. We know you have other choices when it comes to selecting a repair facility, should you find yourself in this unfortunate situation and you are in need of our services, please give us a call and let us take the worry out of your experience.